BioGaia has recently launched BioGaia Protectis baby drops in Australia and the product is available through Nestlé Australia Ltd. 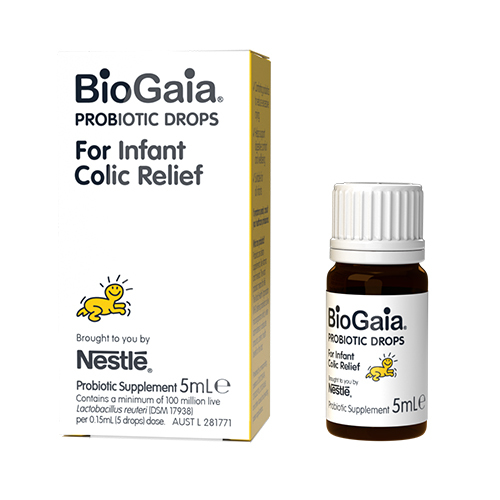 The product BioGaia probiotic drops for infant colic relief is co-branded under the BioGaia and Nestlé branding. Earlier this year BioGaia extended its global collaboration with Nestlé by signing an agreement with Nestlé Australia Ltd for the exclusive rights to sell BioGaia Protectis drops in Australia. The Asia Pacific region, with Australia as one of its top markets, is one of the largest international probiotic markets and analysts predict that this region will retain its leading position in upcoming years. BioGaia Protectis baby drops is a food supplement containing the patented lactic acid bacterium Lactobacillus reuteri Protectis®/TM (L. reuteri DSM 17938) that helps the good microorganisms restore a natural balance in the gut. Because L. reuteri Protectis naturally colonizes humans it has a strong adaptation to persist and interact with humans.